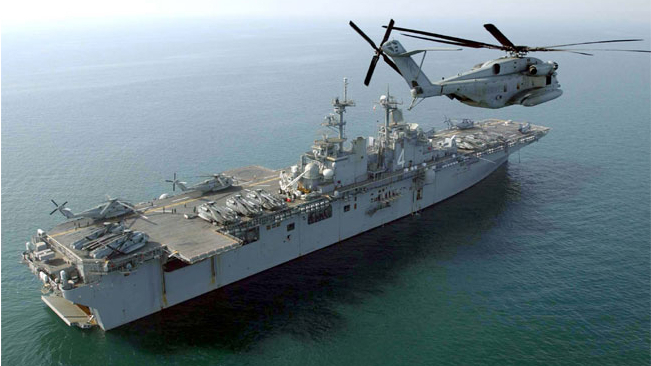 More than 4,500 sailors and Marines from the San Diego- based Boxer Amphibious Ready Group and 13th Marine Expeditionary Unit are scheduled to deploy Friday to the Western Pacific and Middle East, the Navy announced Monday. The “Wildcards” of Helicopter Sea Combat Squadron 23, based at Naval Air Station North Island, will supply three MH-60S Knighthawks and their crews for the deployment. The USS Boxer is named after His Majesty’s Brig Boxer, a vessel belonging to Great Britain that was captured off the coast of Maine in 1813, during the War of 1812. The USS New Orleans is named after the city in Louisiana and the War of 1812 battle that took place there.